Health promotion in South Africa presents challenges different to those here at home. “One difference in the process is that we work very closely with communities. If we fail to gain the support of the members of the community, we get nowhere,” says Zoleka Soji, researcher at Nelson Mandela University in Port Elizabeth. 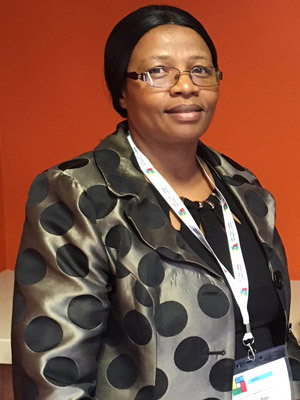 She is an associate professor in the field of social development professions, with many years of experience in social work in disadvantaged areas of South Africa. In her research, she is seeking a viable path and sustainable approach to preventing ill health in society. Obesity, as well as type 2 diabetes and cardiovascular disease, are growing problems in South Africa. A community is a group of people with a strong sense of cohesion, a tribe and/or a small group in society, and it is within these groups that Soji believes preventive health efforts must begin. In South Africa, one problem is that public trust in researchers and academics is low. “A lot of people feel abused and do not believe in changes instituted by us, as academics. They don’t trust us; they think we just come in and gather information and data about them – but then nothing happens. So, to get anywhere, we have to get the communities behind us. For this reason, extensive field work is conducted in many projects directly with the families and their communities. 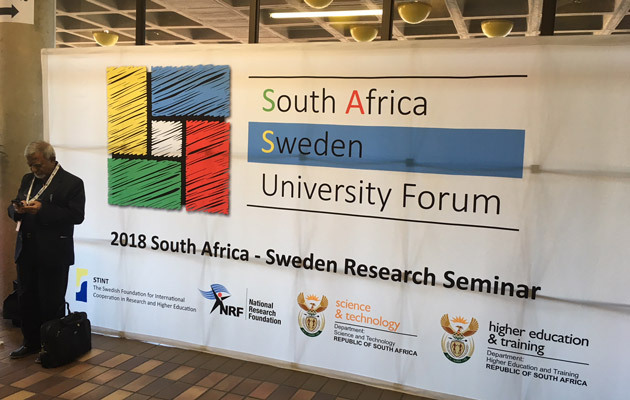 Thirty universities in Sweden and South Africa are collaborating in the SASUF project. Uppsala University is one of them. Soji sees both similarities and differences between the two countries and believes that we have a lot to learn from each other. Obesity and overweight, among children especially, is a serious health problem in both countries. A sugar tax was recently introduced by the South African government, but acceptance of the tax is low among the population, who live in deprived circumstances and usually can afford only the cheapest food, which contains a lot of sugar. “The sugar tax impacts people who already feel downtrodden in society. So, it is a huge task to educate people and generate understanding that this decision is good for us in order to promote health,” says Soji. A great deal is won by gaining the trust of local leaders, who are a key group in communities. Soji is also curious about how Sweden managed to spread interest in movement and exercise. South Africans have a more sedentary lifestyle, according to Soji, which has resulted in many overweight people and an increase in the number of related diseases. What can Sweden learn from South Africa? One out of five children in Sweden is overweight. That is ten times more than one generation ago. Two out of three Swedish schoolchildren are in the WHO category “physically inactive” – which puts Sweden among the most inactive countries in Europe. SASUF is an international collaboration among 23 South African universities and seven Swedish universities. Uppsala University is the coordinator. The project will run until the end of 2020, with the overall aim of developing research collaborations and supporting young researchers. The UN's 17 Sustainable Development Goals are the framework of the project in six different research areas. The project was formally opened with a large conference in South Africa in May 2018, where about a thousand researchers, funders, decision-makers and other stakeholders participated in seminars in various locations in the country.